This tutorial will show you how to make google translate beatbox which can be quite a funny process. 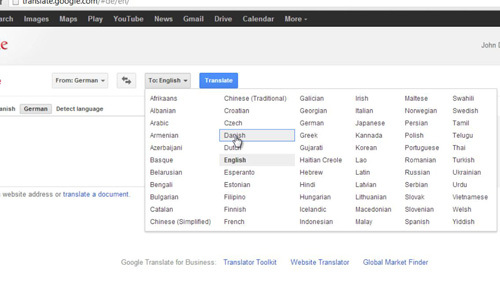 Navigate to Google Translate at “www.translate.google.com”. 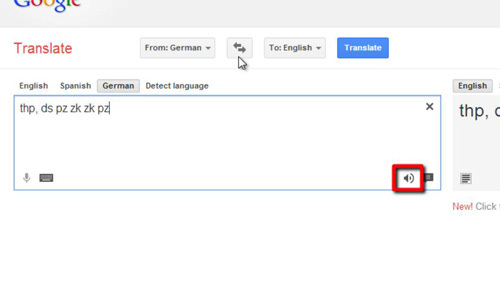 Above the translation windows you will be able to set the language to translate “From” and “To”, you need to set both of these to “German”. 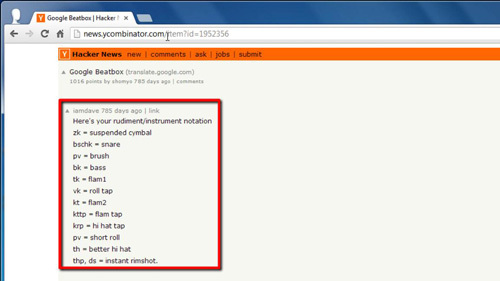 Now click in the left hand box and you can type some combinations of letters that sound like someone beatboxing. Type, “thp, ds”, “pz” or “zk” in various combinations and when finished click on the speaker icon at the bottom right of the window. Translate will attempt to read the letters in the box and this will sound as if someone is beatboxing. These are just three of the many beatboxing sounds you can use in translate. Fortunately to get them all you can visit “http://news.ycombinator.com/item?id=1952356”. You can see here that someone has spent time compiling all of the characters and the sounds that they make. You can use any of these in Translate to get a beatboxing like sound and that is how to make google beatbox on translate.